Two Chinese clients in the transport SECTOR – BEIJING DONGFENG ELECTRICAL LOCOMOTIVE FACTORY AND THE CHINA ACADEMY OF RAILWAY SCIENCES – HAVE OPTED FOR ELECWORKSTM FOR LOCOMOTIVE DESIGN AUTOMATION. Two Chinese clients in the transport sector Beijing Dongfeng Electrical Locomotive Factory and the China Academy of Railway Sciences have opted for elecworks™ for locomotive design automation. Integration with SolidWorks, 3D automatic wiring, automatic generation of parts lists, data management techniques using SolidWorks Enterprise PDM -… are some of the features that highlight the integration of different applications. Beijing Dongfeng Electrical Locomotive Factory is a company formed by the merger of China Northern Locomotive and Rolling Stock Industry Corporation (NRC). One of its main activities is design, production, refurbishment, overhaul and maintenance of electric and diesel locomotives, freight cars for transporting cargo or passengers, rolling stock, traction engines, etc.. elecworks™ has replaced AutoCAD for 2D design of all new electric locomotives produced. 2D electrical schematics and wiring are done in elecworks™, mechanical models are done in 3D SolidWorks for installing electrical cabinets in locomotives. It is precisely because of its full integration with SolidWorks that elecworks™ was chosen. The fact that elecworks™ offers a library of manufacturers catalogs such as ABB, Schneider, Phoenix, etc.. and the feature to automatically generating reports is a real time-saver. Especially, since the components library is in constant interaction with SolidWorks in real-time, even the last minute changes are taken into account. Even the reports get updated automatically with just a click. The routing of the cabinet in 3D is also implemented with elecworks™: the point by point connection for each component is automatically done in minutes, thanks to technology and TraceParts parts library. These smart electrical components are accessible through their free download portal destined for engineering service providers. 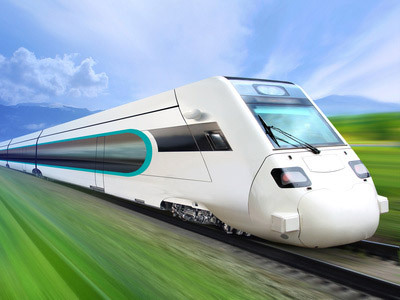 Another example of elecworks™ in the transport sector: the China Academy of Railway Sciences, leading research institute technical rail and automotive, recently began using elecworks and SolidWorks. This research center which oversees the national rolling stock maintenance as directed by the Ministry of Railways employs over 500 people gathered in 10 specialties that include providing power for the railways, maintenance of electric locomotives and an automation technical control center. The research center will in a few months begin to manage their mechanical and electrical data on SolidWorks Enterprise PDM, all three programs are integrated with each other. Reports of electrical components are exported from elecworks™ to SolidWorks and to SolidWorks Enterprise PDM. The most popular features of elecworks™, put forth by users are to able to design electrical schematics and mechanical models on a single platform and the advantage of having a tool with international standards (IEC 61346).